For starters, whether you’re in B2B or B2C will inform which social networks you are likely to find success with. LinkedIn, for instance, is almost exclusively reserved for B2B marketing purposes. It is a professional network by design, and the chances of connecting with everyday consumers and selling your products to them on LinkedIn are slim-to-none. Pinterest, on the other hand, is far better suited to B2C marketing. Indeed, if you’ve got an ecommerce store, an image-rich Pinterest (or Instagram, for that matter) campaign that showcases your wonderful products in all their glory is very likely to drive lots of engaged traffic right to your products page on your website. In fact, today, brands can even sell directly from Pinterest with Buyable Pins. But what about the big blue one? What about Facebook? With 2.07 billion active monthly users, every brand – be they in B2B or B2C – needs to be paying attention to Facebook. So, let’s start our journey there. Facebook is, of course, an incredibly popular network. It’s got the biggest active user-base of all the social networks by far, and so it really goes without saying that if you’re in B2C, you need to go where your customers are – and your customers are on Facebook. However, if you’re in B2B, you might think that Facebook isn’t worth your trouble. You need to be targeting B2B buyers and decision-makers with your social media marketing campaigns, and those guys are usually to be found on the likes of LinkedIn and Twitter, right? Well, in fact – and somewhat surprisingly – a recent report by Hotwire and Vanson Bourne reveals that B2B buyers and decision-makers are increasingly turning to Facebook when conducting their research into new products and services prior to making a purchase decision. 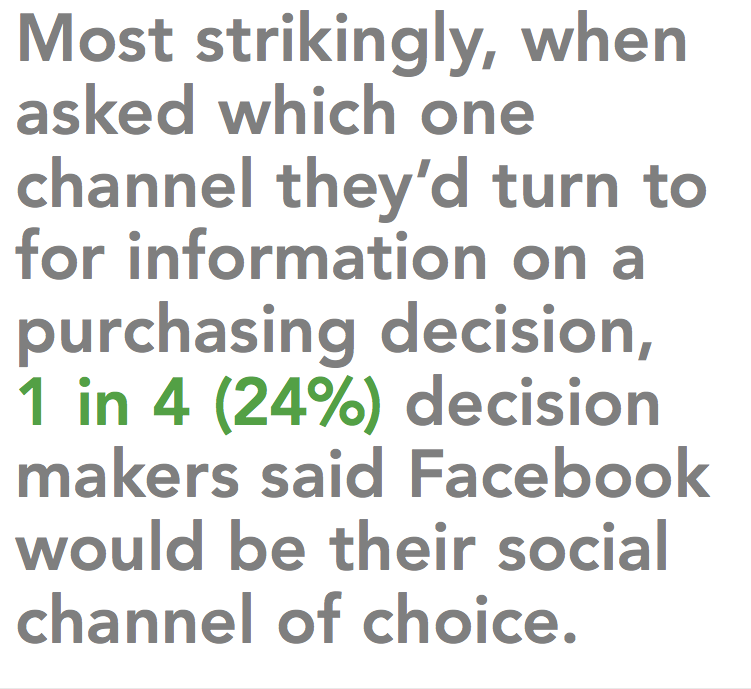 24% of the 1,000 B2B professionals surveyed for the report said that Facebook was their number one choice of network to conduct their purchasing research. This puts Facebook right at the top of the list, for only 17% said the same of LinkedIn, and only 6% of Twitter. Well, today, busy professionals are increasingly taking their work home with them – perhaps even without realising it. And while it might be true that during actual 9-5 working hours B2B buyers and decision-makers are more likely to be found on LinkedIn or Twitter, they don’t “switch off” when they head home at the end of the day – at which point they are more likely to be browsing Facebook. Indeed, according to the survey, B2B professionals actually spend more time over a month on Facebook than they do on any other social channel – 18 days a month on Facebook, compared to just 13 days on both LinkedIn and Twitter respectively. In short, then, no matter where else you decide to focus B2B social media marketing efforts, Facebook most certainly needs your attention. Facebook may be claiming the attentions of many more B2B professionals than we might have previously assumed – but that’s not to say that we should forget about other channels altogether. 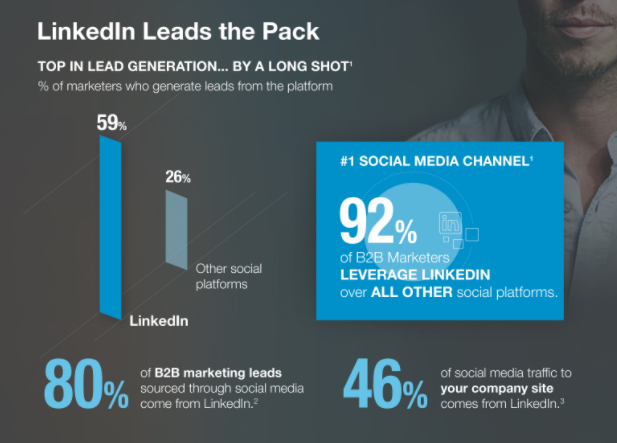 LinkedIn is of course one of the most important channels for successful B2B social media marketing. It now has more than 500 million active users, and, by its very nature, is the platform to which many B2B professionals instinctively turn to engage with other people in their industry. It should come as no surprise, then, that the network is used by a massive 92% of B2B marketers. Why? Because LinkedIn is the network where professionals go to find high-value, well-researched, informative and educative content. And so, it’s the job of the B2B social media marketer to ensure that it’s his/her company’s high-value, well-researched, informative and educative content that is gaining the most attention on the network. Content will of course form the underlying backbone of any B2B social media marketing strategy. White papers, research reports, blog posts, case studies, eBooks – these are the kinds of things that people expect to find on LinkedIn, and indeed actively search for and hunt down. But does LinkedIn marketing get results? Yes, it does. Research from a number of sources reveal some very promising figures. Oktopost, for instance, finds that 80% of B2B social media marketing leads come from LinkedIn, while a study from Investis finds that 46% of all social media traffic to a company’s website will come via the network. Put simply, if you’re in the B2B realm, you most certainly need a LinkedIn strategy propping up your social media marketing efforts. Twitter is a great platform that’s especially suited to B2B social media marketing – though that doesn’t mean B2C brands can’t make those 140-character (soon to be 280-character for many users) tweets work for them. One great example of this is the smoothie and juice brand Innocent Drinks. Most of Innocent’s Twitter posts aren’t about their products at all. Rather, they use Twitter to foster their silly, clever, fun, loveable and creative brand personality – a strong social media marketing strategy indeed. 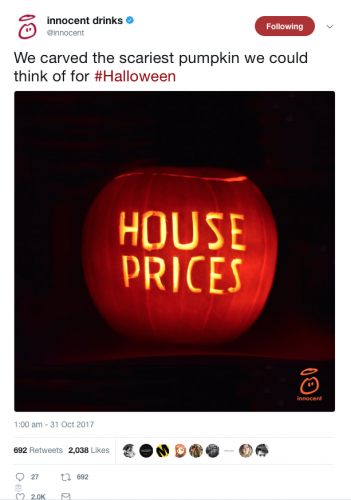 As you can see, these tweets get great engagement from followers, and for good reason – they stand out from the crowd, chime perfectly with Innocent’s brand personality, and offer some light entertainment for the company’s audience. Couldn’t have put it better myself. B2C social media marketing isn’t about bombarding would-be customers with adverts and sales messages. Rather, it’s about building and engaging a community, and forging an emotional connection with fans and followers – and once you do that, you can expect loyalty and advocacy to follow. 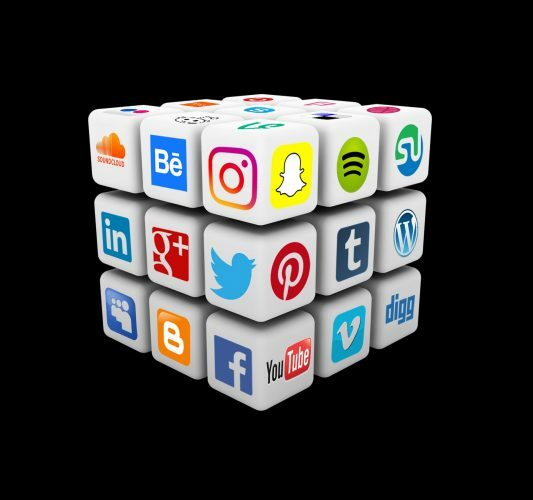 There are of course many more social networks that you may be considering for your marketing efforts – Tumblr, Reddit, Google+, YouTube, Snapchat, Flickr, Quora, StumbleUpon, etc., etc., etc. You may find success with any or all of them – however, we would certainly advise that you don’t spread yourself too thinly. Often, the best move is to choose just two or three and develop a social media marketing strategy that you can execute well, as opposed to trying to build a thin presence across eight, ten or twelve networks. As a rule of thumb, if you’re a B2B brand, then Facebook, Twitter and LinkedIn will be for you. If you’re in B2C, you most certainly have to develop a presence on Facebook, but where else will largely be determined by your target audience. Young people today, for instance, are making huge use of Snapchat – and so if you’ve got a product that’s targeting teens, Snapchat is where you need to be. Other networks attract different demographics. Pinterest, for instance, has a very large female user-base, whereas on Twitter the gender split is pretty even. At the end of the day, choosing which networks to utilise will come down to a process of market research and the development of buyer personas. Understand who your targets are, and from there you’ll be able to work out where they are – and that’s where you need to be, too. If you need help developing a social media marketing strategy for your business, please don’t hesitate to get in touch with us here at Cope Sales & Marketing – www.cope-salesandmarketing.com – today. Looking forward to hearing from you.